This episode is full of question from listeners and readers. 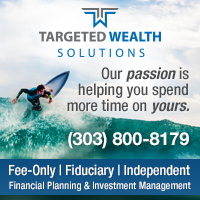 We cover topics such as should you invest in a SERP, can you deduct the whole life insurance loss through a variable annuity, can you convert an inherited traditional IRA to a Roth IRA, and how does the new tax law affect the opportunity to take out a HELOC to pay off your student loans? Watch the video or listen to the podcast here or it is available via the traditional podcast outlets, ITunes, Overcast, Acast, Stitcher, Google Play. Enjoy! 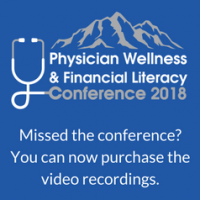 [00:00:20] This episode is sponsored by ProAssurance professional liability insurance for doctors. 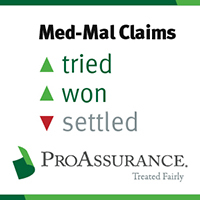 Their numbers show they close more medical malpractice claims without indemnity payouts. ProAssurance also spends more on defense and less on settlements. You can get the facts about medical liability insurance and strong defense at ProAssurance.com. Pay down my loans. I could pay off half my loans and we could be done by the time we get married next June, which I think is a nice way to start our life together. However, this isn’t very exciting for my spouse (he still sees the loans as MY loans), and again doesn’t help us with a down payment. Invest in a taxable account. His parents recommended buying some big name stocks like apple but we would probably just get some low cost index funds. 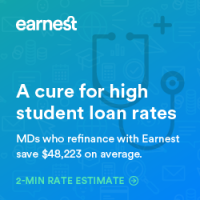 [00:12:57] “I recently read in the comments of another article where you noted that many MDs take out HELOCs to pay off student loans so that they can get the deduction for the HELOC as they make too much money to deduct the student loan interest. Does this still make sense for some with the new tax bill? If you haven’t yet had a chance to sign up for the online course I would encourage you to do that. There are many of you for whom this will be a life changing event to go through this eight hour course and become financially literate. [00:00:20] Welcome to episode 39: Five questions about Serps, the new tax law, inherited IRAs and gifts. 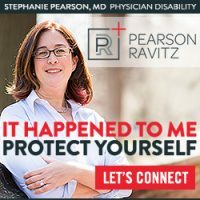 This episode is sponsored by ProAssurance, professional liability insurance for doctors. Their numbers show they close more medical malpractice claims without indemnity payments. ProAssurance also spends more on defense and less on settlements. 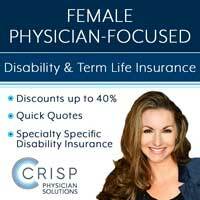 You can get the facts about medical liability insurance and strong defense at ProAssurance.com. [00:00:45] Our quote of the day today comes from Mr. Money Mustache who said your current middle class life is an exploding volcano of wastefulness and by learning to see the truth in this statement. You will easily be able to cut your expenses in half leaving you saving half of your income or two thirds or more. [00:01:02] In today’s episode we’re going to talk about some questions that have come in. In fact my e-mail box is a never ending source of material for both the blog and for the podcast. And so we’re going to share a bunch of those questions today. I’ve got five questions lined up on various different subjects that are great questions and I think you’ll find as interesting as I did. [00:01:23] Our first one comes in from someone asking about Serps, supplemental executive retirement plans. Says I maxed out my 401k, my Roth IRA for myself and my spouse and stealth IRA, a.k.a. an HSA. Also donate for three kids to our 529. And all of this is self managed in low cost Vanguard index funds. At any rate I’m contemplating where to put money next. I thought about putting it into a taxable account and investing it there. [00:01:52] Also consider doing real estate in that taxable account but I work for a contract management group in emergency medicine. It’s interesting you know provides kind of an excuse for why he’s working for a contract management group because he knows I don’t like him much but apparently that’s the only jobs available in his geographic area. 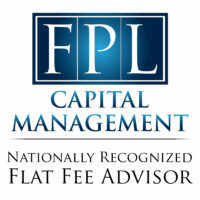 At any rate this contract management group offers a SERP and actually this one allows him to put in up to 85 percent of his income pre-tax into this plan in this investment account. And he is able to invest into Vanguard funds. [00:02:28] So the question is Have you ever heard of a Serp? 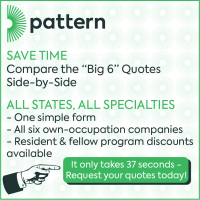 Do you have any experience of your own or with anybody else using it? Also I’m wondering whether it’s better to invest in this or in a taxable account given the ramifications of the account? And he provided some details of the account to me. [00:02:44] Basically what these are these Serps are these deferred compensation plans are similar to what a 457 plan is that a lot of academics have. It’s basically something you put money into. You get a tax break and the year it goes in it grows and tax protected way and then when you take it out you pay taxes on it, very similar to 401k. 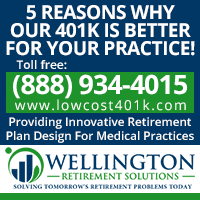 Very similar to 4O3b the 457’s generally have the same contribution limit as the employee limit in a 401k or 4O3b. So for someone under 50 eighteen thousand five hundred this year. However a lot of times they will allow you to put in more than that. 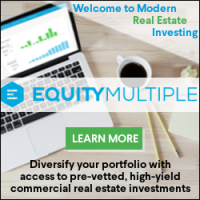 [00:03:26] Not necessarily in a 457 but in these other types of deferred compensation plans and in this particular one you can put in 85 percent of your salary which might be the highest limit I’ve ever heard of but the issue with these types of accounts comes down to really three things. Number one are the investments good? 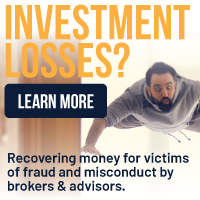 Because if the investments are just terrible in the account you may not want to use it. In his case he’s got a bunch of Vanguard Admiral index funds and so I think that part he can safely answer yes this is a reasonable plan to use. [00:03:59] The second thing to look at however is the stability of the employer. Remember with the deferred compensation plan of any type it is not your money yet, it still belongs to your employer and it’s available to your employer’s creditors. So if that employer goes bankrupt or goes out of business for whatever reason unlike a 401k or a 403B where it’s your money. This is the employer’s money and so you could potentially lose your money due to that. For this reason I recommend you get this money out first in retirement just because it’s not your money yet. I actually recommend you spend it before you spend taxable money once you’re retired. But that’s a major issue. So you want to consider how stable your employer is. Now for a lot of the governmental plans, you know where you work for the state or something like that. It’s very stable and I don’t think you need to worry about that. But when it’s a private hospital or contract management group I think that’s a real issue and I think you really need to consider what that means. [00:04:59] The other thing particularly with 457 plans are there are two types. The first type is a governmental plan. The second type is a non-governmental plan and when you leave the employer if it’s a governmental plan you can just roll it into an IRA or another 401k but you can’t do that with a non-governmental plan. It’s not nearly as attractive. Which brings us to the third issue with these plans that you need to consider before investing in them and that’s what are the distribution options and these are all over the map. Sometimes you can just annuities it and take out a little bit every year for the rest of your life. Sometimes you’ve got to take it out over 10 years or five years. Or sometimes you’ve got to take the whole shebang out. As soon as you leave the employer. [00:05:43] Now obviously that might have some tax consequences since when it comes out of the account you have to pay taxes on it. For example let’s say you put twenty thousand dollars a year or more in this docs case you could put a hundred thousand dollars in there every year for five or 10 or 20 years and then if it all has to come out at one time you might have been putting money in there and only saving money at you know 25 or 33 percent something like that and then all of a sudden when it comes out because it puts you into the top tax bracket. All that money is getting taxed at the maximum rate that it could be. You know you’re now paying 37 percent on it. So it doesn’t make any sense to save 28 or 33 percent and then pay 37 percent when you take it out. [00:06:26] So if the distribution options are really crummy on these things I recommend you don’t use them. But if you can spread them out at least over five years then I think that can be a meaningful aspect of your retirement spending plan. Physician on Fire, one of my partner sites, has a 457 and that’s basically his plan for his first five years or so of retirement is to spend his 457 money. And I think that’s very reasonable. [00:06:52] All right our second question comes down to a recent change in the tax law with the tax cut and jobs act passed at the end of 2017. This is a doc asking about deducting a whole life insurance loss by using a variable annuity. Now this is a tactic I’ve written about before and it’s for people who want to get rid of a whole life insurance policy but realize they’re underwater on it, essentially is worth less than the total of all the premiums they paid. And this is the case for just about anybody who has owned a less than seven to 15 years. It just takes that long to break even on it. [00:07:30] And the problem is that you are not allowed to deduct a loss on whole life insurance is not an allowable deduction. Never has been. And so what people have done is they have gone ahead and exchanged it exchanged the cash value in the whole life insurance plan to a variable annuity. And what happens when you do that is you could then get rid of the variable annuity and that was deductible. You could take it on schedule A. However it was subject to 2 percent of income restriction. But for a big loss it’s still made sense that you could deduct that. [00:08:10] A better option for most people was to leave it in the V.A. until it grew back to its value. Basically its basis what you had paid for that particular policy. 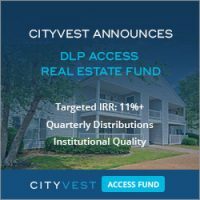 And so that was what a lot of people did as they put it in a vanguard you know low cost variable annuity invested in real estate investment trusts or something else they were planning on investing in anyway. And when it grew back to the basis value then they surrendered the variable annuity and they basically got some tax free growth on that money as it grew back to its value. However under this new tax law that is no longer a deduction you can take on Schedule A. So your only option now if you exchange a whole life insurance policy for a variable annuity is to let that grow back to the basis and then surrender it. Taking that as a deduction on this year’s taxes is no longer an option. [00:09:08] OK our third question comes from someone who has inherited a traditional IRA. What a great problem to have! To have somebody leave you money and leave you money that you can stretch out over a long period of time even if you have to pay taxes as you take the money out. Still a great gift. But this doc thinks that a Roth IRA would be better for him than a traditional IRA. And so he’s thinking about converting it to a IRA and he’s wondering if that would be a good idea. Well whether it’s a good idea or not it doesn’t matter because it’s not possible. You can’t do a Roth conversion on an inherited IRA. So easy question to answer. Unfortunately not an option. [00:09:48] OK our fourth question comes from a doc who is getting some money from future in-laws. Actually his fiance is getting the money from future in-laws. 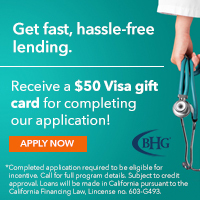 This doc has been working to pay off loans in three and a half years after residency working as a primary doc, excellent, even in the high cost of living area. So obviously not a lot of money left over. But this doc is doing great. Not only has a plan to pay out the student loans quickly but maxing out 4O3b and a Roth IRA. Says my future in-laws have started distributing some of their savings to their children. So my fiance was just gifted 28 thousand dollars and we’re trying to decide what to do with it. Here’s our options. [00:10:30] 1: pay down my loans. I could pay off about half my loans and we could be done by the time we get married which I think would be great way to start a life together. I agree that would be a great way to start a life together. However this isn’t very exciting for my spouse who still sees the loans as my loans. And again wouldn’t help us with a down payment. [00:10:48] Number two was invest it in a taxable account. His parents want us to buy some big name stocks like Apple but we’d probably just get some index funds. Good. I’m glad to see that. [00:10:58] Or the third options is save for a down payment put money in a savings account. Let it sit for a year or two until we’re ready to buy. [00:11:04] Well three great options there right. There’s nothing bad, let’s keep that in mind. There’s not a bad option here. [00:11:10] First of all though I think it’s important when we look at that first option to take this inheritance being given to her fiance and applying it to her loans. I have a little bit of a problem with that. I think it’s important for spouses to combine their finances but not until they get married. I think a massive gift like that before you get married is a very nice thing to do. But I certainly don’t think anybody should feel pressured to do it. Lots of engagements break off and people walk away and if you’ve paid off your fiance’s loans, they walk away and they don’t owe you anything. You don’t have any legal right to get any of that money back. So whatever side of that transaction you’re on. I think it’s probably inappropriate to do that transaction until you’re married. Now as soon as you’re married combined your finances. You know your debt is his debt, his money is your money. But until that point I think you ought to keep them separate. Maybe I’m just a traditionalist that way. 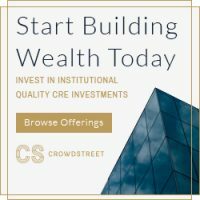 [00:12:11] So that leaves us these other two options, both of which are good ones saving for a down payment in a relatively safe investment and two invest it in a taxable account. I mean they’re both good investments and there’s not necessarily a wrong answer there. So either one of those I think is fine. I guess it just comes down to what your plans are. If you really are going to buy a house in a year. Well keep it in something safe if you’re not going to buy a house for five years or if you think this money is going to go toward retirement. Well leave it there. [00:12:38] Honestly though one great option would be just keep it in a relatively safe account until you get married and then use it to pay off the loans. That’s probably a very reasonable thing to do as well. Is it gonna cost you a little bit of interest. Yes but it is going to keep somebody from walking off with an advantage that maybe wasn’t really their money. [00:12:57] Okay the fifth question comes down to another change of the new tax law. I read in the comments of another article where he noted that many MDs take out a home equity line of credit to pay off student loans so they can get the deduction for the home equity line of credit because they make too much to deduct the student loan interest. Does this still make sense under the new tax law and the quick answer is No, it doesn’t make sense anymore. For most people, it might still make sense for some people. 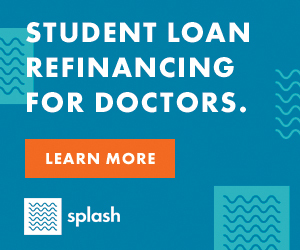 [00:13:27] Basically the strategy I advocated before that was a reasonable one to do was to convert your student loan to a home equity loan. And what that did for you was it took you from a loan that was not deductible because attendings basically can’t deduct student loan interest to one that was deductible. You know a home equity line of credit under previous law up to a hundred thousand dollars could be deducted against your taxes. The interest on it. And the other benefit is usually got a much lower rate if your student loans were six or eight percent. You might be able to get that home equity loan 5,4, maybe even 3 percent if it was variable. And so that was a great opportunity to get a lower rate and to have that interest be deductible. 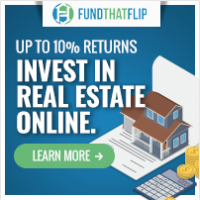 In addition in most states when you get foreclosed on that debt goes away you know if you do a short sale or foreclosure you go bankrupt or whatever the debt’s gone. Whereas student loans never disappear in bankruptcy. You’re stuck with them forever until you pay them off or you die basically. And so this is an opportunity to take a loan that wasn’t very attractive in exchange for a loan that was. Now obvious that doesn’t pay off your loan. The only way to truly get rid of your loans is either have somebody else pay them off or forgive them if it’s a federal loan or to you know lived like a resident and put a bunch of money against them until they disappear. [00:14:42] But it did make it a little bit easier to pay it off quickly because essentially you are paying less in interest on an after tax basis. However under the new law you cannot do this. You cannot deduct a home equity line of credit that you take out in order to pay off your student loans is just no longer deductible. 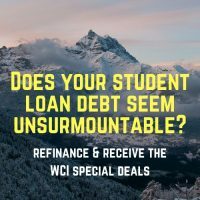 [00:15:02] And so if it’s really a lower interest rate than what you have or what you can get refinancing with a private student loan refinancing company then great and you can still go ahead and do it. But for a lot of people it was the fact that you went from a non-deductible loan to a deductible loan that made it really an attractive proposition. And under the new tax law that’s just not an option. [00:15:23] So we covered those five questions today. I thought they were all excellent questions and I hope they were useful to you and that you can apply those in your life as you are able to. [00:15:32] This episode was sponsored by ProAssurance, professional liability insurance for doctors. 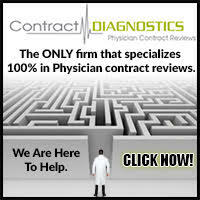 Their numbers show they close more medical malpractice claims without indemnity payments. ProAssurance also spends more on defense and less on settlements. You can get the facts about medical liability insurance and strong defense at ProAssurance dot com. [00:15:50] If you haven’t yet had a chance to sign up for the online course I would encourage you to do that. There are many of you for whom this will be a life changing event to go through this eight hour course and become financially literate. [00:16:01] I also encourage you to follow us on Twitter and Facebook. You can be a subscriber to our YouTube channel. 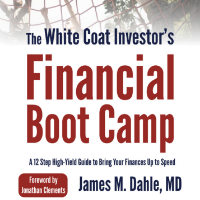 And of course I hope you’ve signed up for the free monthly newsletter and the financial boot camp email series that comes to you in your e-mail box once a week for 12 weeks after you sign up for the newsletter. [00:16:18] Head up, shoulders back. You can do this. We can help. See you next time. Really good deconstruction of the factors in a 457b. One additional data point: unlike 403b and 401k, 457s do not allow the post age 50 plus up of $6K. And one related thought regard payout options for the nongovernmental 457b. In support of the notion that it is important to understand the stability of the company, the tax bill will be quite severe if the payout is taken immediately. That is, you will almost certainly end up being pushed into the highest marginal income tax bracket on those funds. So, better for taxes to spread the payments out, but you have to be comfortable with the employer since these cannot be rolled over to an IRA. Finally, If you also have available a 457f, the good news is that the taxes are paid from the account as those vest, but you are required to take an immediate payout when you separate, and will be taxed on the gain. So, it would be helpful to delay the start of payments on the 457b a year after retiring/leaving if your plan allows it. There was a question about converting an inherited IRA into a Roth IRA. While it wouldn’t follow the same process as a direct conversion, if you inherit it as a student or resident, there is likely opportunity to access the money cheaply now and fill up retirement buckets and/or pay off student loans. There may even be reason to cash extra now at a lower tax rate and put it into a taxable investment if you are expecting a long, high-earning career. I can’t quite tell what you’re saying. But yes, med school and residency is a great time to take advantage of every way you can to get more money into Roth accounts. The inherited IRA would require paying income tax when money is withdrawn. If you inherit it during school or residency (thus being in a lower marginal tax bracket), this may be a good time to withdraw some of the money in order to pay student loans or fill up any retirement accounts you weren’t planning on funding during those years. As long as you have some kind of earned income. Gotta have earned income to make retirement account contributions. My government 457 allows a 50 plus 6k catch up. If you are within three years of retirement, you can apply for an additional 6k if you haven’t maxed out your contribution limits from previous years. Mine might be unique, but I’ve check out with our HR. You may well be right. I was describing only a nongovernmental 457b. Rules are definitely different for the government variety. Yours may well also allow roll over to an IRA. If you are a non-spouse beneficiary inheriting a traditional IRA you CANNOT convert to an inherited Roth IRA (as previously stated correctly in this article/podcast). However, if you are a non-spouse beneficiary inheriting a qualified retirement plan (401k, 403b) you CAN convert to an inherited Roth IRA (see Notice 2008-30 http://www.irs.gov/pub/irs-drop/n-08-30.pdf). Since some people with an inherited IRA may have originally started with an inherited qualified plan, I think this is worth noting when providing a complete public reply to the question posed. This is one reason (of several) to not rollover your workplace retirement plan to a traditional IRA upon retirement. That’s an interesting twist. One more good reason not to do a rollover to an IRA. First commnt on the website. I have reading this blog for about 2 years now and i have referred it to a lot of friends and colleagues. My employer has offered this SERP to us ( not a 457) where an employee can add up to 85% of his income pretax, and will be able to take it out without tax in retirement and up to 20% of the money investement after 4 years. Money is protected against theemployer creditor. Investement will be managed by an financial group (3-5% fee) and it seems there is and indexed life insurance coupled with the product. 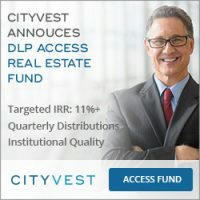 A lot of people are pouring money into this product but i am hesitant ad i never heard about such product before where you put all that money pretax, protected by employer creditor ans being able to take money out TAX free during retirement or even sooner ( 20% of it in the 4 th year) . It seems to too good to be true. Have you heard odd such product before? The devil is in the details. 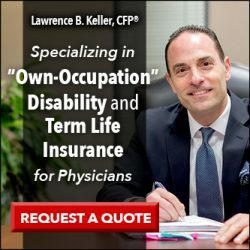 I’m very skeptical that you can buy life insurance with pre-tax dollars, but if so, it is possible this could work out well for you despite all the downsides of investing in life insurance products. Dive in and get more details.